Was my home, in my childhood day. Old John, the Cat Man, lived just below the red brick railroad station at Winter Park, in a small log cabin, perhaps 10’ x 12’. He was Swedish, or maybe Norwegian. His last name might have been Peterson or Pederson, Swenson or Svenson or Swanson, Larson, Olson, Wilson, or Erickson; all that is lost to history. John surely came into the country first, to work on the Moffat Tunnel. Now, two decades later after the opening of the tunnel, he was mostly retired. However, he was the official deliverer of the U.S. Mail to the Winter Park Post Office. This was in the years between 1945 and 1949 or 1950. Each day, after the Yampa Valley Mail went through, John would trudge slowly up to the depot, pulling his toboggan behind him. Entering the bare waiting room, he¹d stick his grey head and long grizzled beard in at the office window to say hello to Mr. Schaeffer, known as “Schaef” to everyone. Sometimes Schaef was too busy to talk as he tap tap tapped out a message on the telegraph key. Or he might be expecting one in; when he was ready to receive, he’d cry into the radio to the man on the other end, “Fire, Gridley!” But if all was quiet, John and Schaef would talk about “³way back when,” their favorite subject. Soon the two of them would be laughing and cackling at incidents long gone. Schaef was considered by many residents to be grouchy, but he wasn’t really; he was just old and tired. He and his wife lived in a little apartment at the back of the station. In the fall he put his car up on blocks and didn¹t take it down until spring. If they needed to go any place, they rode the train. 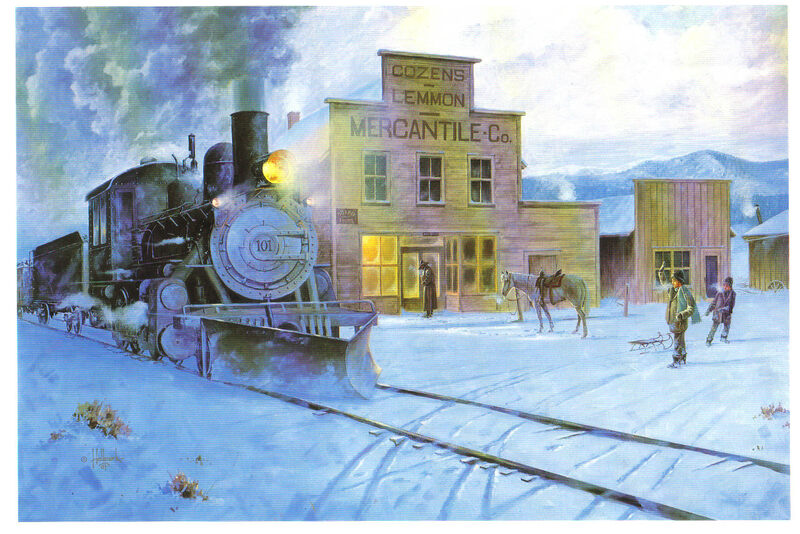 The station was bare; only benches lined around the edges of the room, a schedule nailed to the wall, but it was warm, for there was a coal furnace in the basement below. John liked to feel that nice heat coming out of the vent while he visited. After loading the sacks of mail, John hauled the sled down the road, past the Ranger Station, to the Post Office, a small building placed between Adolph¹s Bar and the Idlewild Stage Stop. Now came the opportunity for another visit, this time with the postmaster, Gertrude Allison, aka “Allie”. Allie ran the post office for years, long before and after there was a post office in Hideaway Park. She knew everything that went on, and what she didn’t know, she made up. It was considered something of a sport by the locals to start a rumor at her post office one day and see how it had developed a few days later. The Wichita Millers lived in one of those lovely old homes, blessed with fine trees lining the streets, large shady yards, and an easy arrangement within, that made family or visitors feel welcome. Three stories and a basement allowed plenty of space for a family of six. The roomy dining area looked out onto the grassy backyard and flower garden, but the windows were rather small. About this time, the notion of picture windows came into being. C.D. thought about this for a spell; good idea! I want more light and a view. Following through on the idea, he fetched his sledge hammer one afternoon and with a mighty wallop, he broke through the dining room wall! Presto....a larger scene. It took a while to trim out the whole, but the end result was totally satisfying. This "grab the bull by the horns" attitude was passed through to Dwight. We had moved into a nice modular home in December 1979. A few years later, we decided we needed a garage; the solution was to lift the house and build a lower floor beneath it. Dwight, his Uncle Ed, and I drove to the ski area where some used oak railroad ties had been cast aside. We gathered a large number of these (Have you ever tried hefting a tie?) and we hauled them home. Dwight had four extra-powerful jacks that he'd used previously to lift houseboats down at Lake Powell. After undoing all the foundation bolts, we started lifting, first one end, then another, building increasingly high cross-hatch type supports near each corner as we raised the house higher and higher. We lived there the entire time this was going on and the house shook with our every step. By the grace of God, no huge winds came up during the whole process. Each morning, Dwight disconnected the water and the sewer lines. Each evening, he reconnected everything. When we were up about eight feet, Dwight and his uncle built stud walls and stood the first wall beneath one side of the house. Would you believe that, thanks to the irregular ties, the house was skewed about six inches out of alignment? Troubles. Now what? Dwight decided that he would take his CAT and carefully push the house back into line, readjusting the braces as he went. That was the day I chose to go to Denver for supplies, knowing full well that when I returned, my piano and good china would be sitting in Ranch Creek. But no. When I got back, all four stud walls were securely in place and the upper floor was resting safely on top. Was it the luck of dumb dumbs? Brilliance? Who knows? Well, in order to go downstairs, we had a fairly steep stairway. We had looked at our various options for less steep stairs, but one would have ended up in the middle of the garage and the other would have had to start in our bedroom. Not good choices. Thus it was steep. Somebody accused us of having the only carpeted ladder in the county. It was also rather dark. One Thanksgiving Day when the family was gathered round, Dwight got the brilliant idea to cut an opening in the upper section of the wall at the top of the stairs, to make it lighter. The family agreed that this was a great idea and they were excited to see how this was accomplished. Out came the skill saw, bursts of sawdust flew into my nice clean living room and onto my counters where I was trying to prepare a festive dinner. I tried to shield the food from sawdust. I tripped over the cord while setting the table. I scrambled over scrap wood trying to reach pans and dishes. But the family loved it. By supper time, a rough hole definitely brought more light, and amazingly, we were still married! Zane Grey was one of, if not the most famous western writer of his time. He spent his life traveling the world and writing until his death. Some of his midlife years were spent in Kremmling, Colorado, and other parts of Grand County, where it is said he produced his best-known book Riders of the Purple Sage. His adventures and experiences shaped his literature into the wonderful western classics that we still enjoy today. Pearl John Gray was born to Lewis M. Gray, a dentist, and his wife, Alice Josephine Zane, on October 1872 in Zanesville, Ohio. Pearl changed his name to Zane soon after his family changed the spelling of their last name. During his childhood, Zane bore much interest in baseball, fishing, and writing, as well as taking part in a few violent brawls. A severe financial setback caused Grey's father to start a new dentistry in Columbus, Ohio in 1889. While helping his father, Zane, who had learned basic dental procedures, made rural house calls as an unlicensed teenage dentist. Grey attended the University of Pennsylvania on a baseball scholarship, where he studied dentistry practices. The Ivy League was an excellent training ground for future pro baseball players. Zane was a solid hitter and a pitcher with a deadly curveball, but when the distance from mound to plate was lengthened in 1894, his pitching suffered and he was sent to the outfield, dabbling in all three positions. Grey eventually went on to play minor league baseball, even without his pitching. Grey got his first taste of the West while on his honeymoon, and although amazed, he felt unready to use it in his novels. Grey later took a mountain lion hunting trip on the rim of the Grand Canyon. There, Grey gained the confidence and authenticity to write convincingly about the West, its characters, and its landscape. Treacherous river crossings, unpredictable beasts, bone chilling cold, searing heat, parching thirst, bad water, irascible tempers, and heroic cooperation all became very real to him throughout his travels. Zane wrote his first western just after the birth of his first child. Soon after, Grey produced his best-known book, Riders of the Purple Sage. These two books sent his career into the western genre, writing classic tales of "conquering the Wild West". Zane Grey was the author of over 90 books and many of them became bestsellers. Zane Grey made a comfortable fortune through the sale of his novels. Almost all of his books were based on his own experiences and travels. Around half of the year was used for traveling, and the second half of the year was used to put this valuable time and experiences into his next novel. Some of that time was spent in Grand County and Grey owned a home in Kremmling. Grey indulged his interest in fishing with visits to Australia and New Zealand. He first visited in 1926 and caught several large fish, with the most impressive being a mako shark. Grey established a base at Otehei Bay Lodge on Urupukapuka Island. This hotspot became a magnet for the rich and famous, as well as avid fishermen. He held numerous world records during this time and invented the teaser, a hookless bait that is still used today to attract fish. Zane Grey lived a wonderful life full of very real and fictitious adventures. While enjoying his later years, he died of heart failure on October 23, 1939 at his home in Altadena, California. The Muddy Creek Valley, on the western edge of Grand County, has a rich history, mostly based on ranching. It became something of a multi-cultural region, attracting French, Greek, Belgian, British, Dutch, Austrian, Swiss, German and Jewish settlers. There were also dozens of homesteading families that came from eastern Colorado and Mid-West America. The known prehistory of the Muddy Creek area extends back 10,000 years at a kill site for bison on Twin Peaks, which separates the Muddy from the Troublesome Creek drainages. 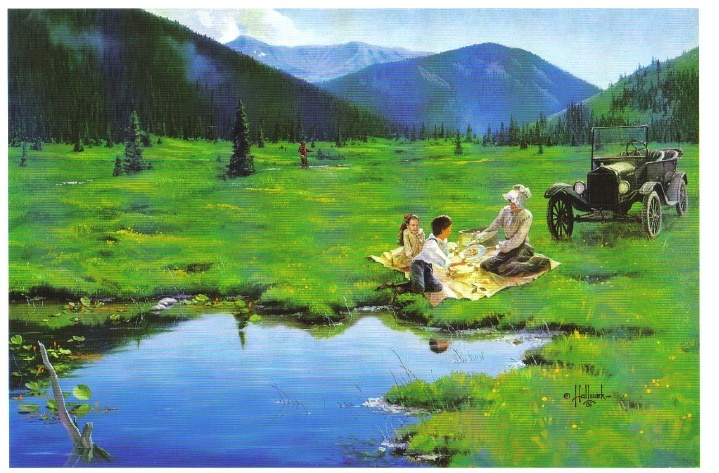 Among the early settlers in the region were the Ed Pinney family who has a ranch near the summit of Gore Pass. As the boundary between Grand and Routt County was not well defined, Ed paid his taxes to whichever county had the lowest rate in any given year. 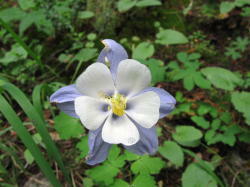 After the railroad arrived at Kremmling, a stage coach route to Topanos, west of Gore Pass, was started. At first the Pinney Ranch was designated a lunch stop, and then an overnight stop. In 1906, the Pinneys' built a big house that could accommodate up to 40 people, two to a room. 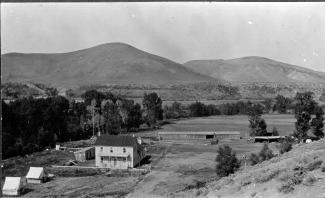 One of the many notable ranches was that of Fred and Myrtle DeBerard. Their Park Ranch included 20,000 acres, and they ran over 1600 registered Herefords. 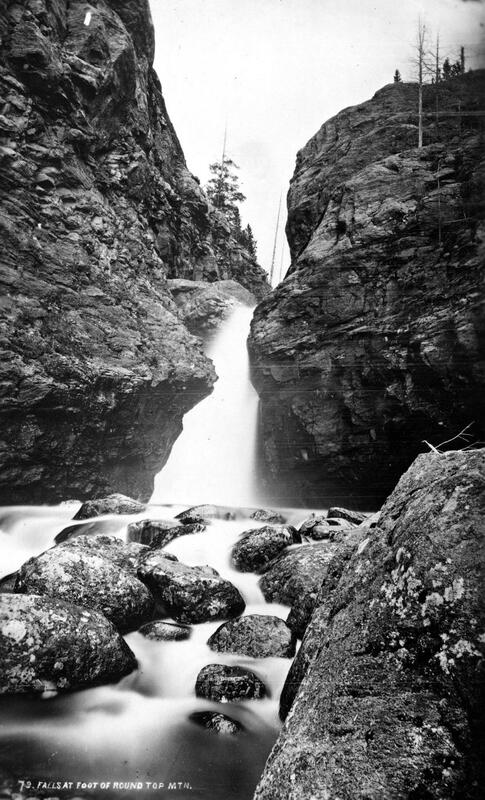 Fred was instrumental in the creation of four reservoirs in the region. Another prominent early rancher was Frenchman Alfred Argualer, who first came to hunt the region but returned to establish the May-Be-So Ranch. 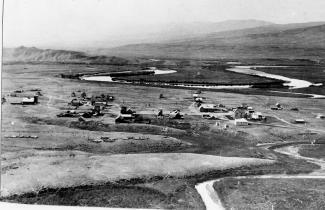 He continued developing properties from 1880 until 1911 when he sold his ranch on the Muddy to Nick "Turk" Constantine. A significant rancher of the 20th century was Walter "Wad" Hinnan, who served form 1966-7 as President of the Colorado Cattlemen's Association and as Director of the National Western Stock Show in Denver. He was instrumental in breaking the barrier between cattlemen and sheep growers by showing that both enterprises could be complimentary and profitable. Wad also represented Grand County in the Colorado Legislature from 1968 to 1982. At one time in the early 1920's there was a sanatorium for World War I veterans who had been disabled by mustard gas. 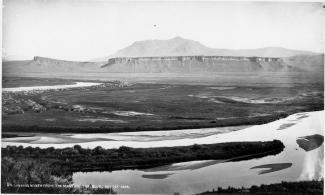 The lower Muddy was the site of an ice house which supplied refrigeration for fruit shipments out of Grand Junction and Palisade, Colorado. German prisoners of war were used to cut the ice during World War II. 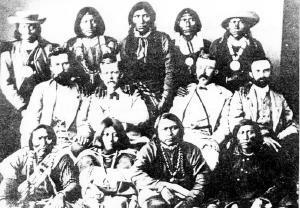 A unique innovation resulted from the widespread ranching families. 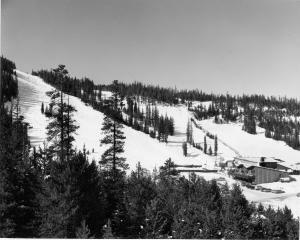 In 1935, the schoolhouse was put on sled runners so that it could be taken to which ever ranch had the most children for that season. 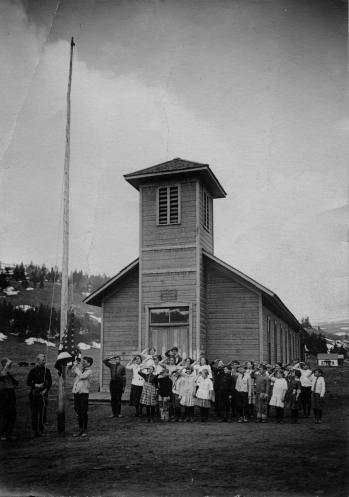 It was moved in the winter as the school terms were held during the summer. It was moved three times between 1931 and 1939 and was probably the only mobile schoolhouse of that era.